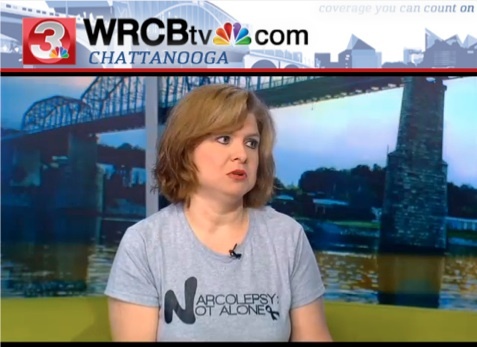 NARCOLEPSY: NOT ALONE is on the news! I’m thrilled to share that NBC News Channel 3 WRCB in Chattanooga, TN featured the NNA campaign in a terrific segment with my friend and fellow advocate, Valencia Blake. WATCH HERE. The segment beautifully describes the NARCOLEPSY: NOT ALONE campaign as a nationwide effort to reach people with narcolepsy. Thank you to Valencia Blake for sharing her story. Thank you to Julie Edwards and the 3 Plus You team at WRCB tv for raising awareness about our misunderstood and under-diagnosed condition.